Book Reviews – WWII – “Air Apaches” eBook was published in 2019 and was written by Jay A. Stout (https://www.jayastout.com). Mr. Stout has published more than 10 books on military aviation. I received an ARC of this novel through https://www.netgalley.com in return for a fair and honest review. I categorize this novel as ‘R’ because it contains scenes of Vionence. The story is set in the South Pacific during World War II, starting in 1943 and continuing thru the end of the war. The book did not focus on one set of men, but covered the entire 345th Bomb Group. I thoroughly enjoyed the nearly 12 hours I spent reading this 432-page history of World War II. I learned a lot about the B-25 bomber which the 345th flew more as a fighter bomber. With the large number of .50 caliber machine guns, it proved to be a formidable gunship. I like the chosen cover art. I give this book a 4 out of 5. The “World War II Sources” page is a collection of more than 210 links to museums, websites, Facebook pages, and Twitter feeds with information on the World War II era in history. Join us on a journey into the past & present as we set out to explore the history of WW2. Our travels take us from the Homefront to the battlefields of Europe and beyond. Travel with us as we revisit historical locations, track down wartime relics, pick the brains of veterans and historians and pay our deepest respects to the greatest generation; as we set out to try and keep this period of history alive for future generations to learn from. We are not historians and do not pretend to be so, we just have a great passion for WW2 history and are determined to learn as much as we can about this time in history and share our experiences with you, the WW2 Community. If you are interested in the WWII period of history you may find this podcast very informative. Unlike many podcasts, the WWII Nation episodes come out on an irregular schedule. If you subscribe to this podcast you will not be flooded with episodes, in fact, they have only posted 13 episodes so far since they began in February of 2016. If you are interested in the WWII era of history, you may find these two pages of interest. The “World War II Sources” page is a collection of more than 200 links to museums, websites, Facebook pages, and Twitter feeds (including WWII Nation) with information on the World War II era in history. This movie is a dramatization of the effort by the British to fight off the German Luftwaffe over the period from July 10 until October 31, 1940. This period is identified by historians as the Battle of Britain. The Germans were attacking in an effort to force the capitulation of Britain and prepare for invasion. I thought that this was a pretty good movie, though the aircraft used in the making was limited to only a few working aircraft. It is one of the few movies in my collection that is in color. The movie earned a 7.0/10 on IMDB. It is late October of 1944 and a young soldier named Karl Franke has been shipped to Courland, Latvia. He must prove himself to his fellow soldiers in his first confrontation with the Russian Army. This is a well-made film available in up to 1080p resolution. The dialog is all in German, but there are English subtitles. This is one of the better WWII era short films I have seen. 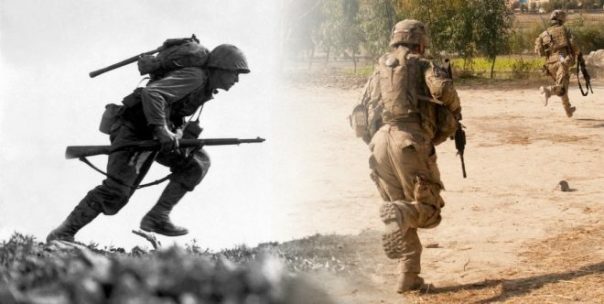 If you are interested in the World War II era of history, you may find my pages “World War II Sources” (a collection of links to museums, websites, Facebook pages, and Twitter feeds with information on the World War II era in history) and “World War II Timeline” of interest. Book Reviews – WWII – “Hitler’s Secret Weapons of Mass Destruction: The Nazi Plan for Final Victory” eBook was published in 2018 and was written by Michael Fitzgerald. I received an ARC of this novel through https://www.netgalley.com in return for a fair and honest review. I categorize this book as ‘G’. This book talks about the various projects undertaken by the German Third Reich to create weapons that would turn the tide of World War II. The first part of the book addressed aircraft, rockets, and armored vehicles that were either developed or which had been designed. Then some of the more far-fetched research efforts were addressed including “flying saucers”, unusual aircraft, and working atomic weapons. I thought that the 6 hours I spent reading this 240-page non-fiction book were interesting. While many of the projects discussed were ones I had heard of elsewhere, there were several that, to me, left the non-fiction and crept into the realm of conspiracy theory and pure fiction. The selected cover art is well chosen. I give this novel a 2.5 (rounded up to a 3) out of 5. If you are a student of the World War II era in history, you may find my pages “World War II Sources” (a collection of museums, websites, Facebook pages, and Twitter feeds with information on the World War II era in history) and “World War II Timeline” of interest. Book Reviews – “The Last Saturday of October” eBook was published in 2018 and was written by Douglas Gilbert. This is Mr. Gilbert’s first publication. I received a copy of this novel from the author in return for a fair and honest review. I categorize this novel as ‘G’. The story is dramatized non-fiction. This is an inside look at how close the US and Russia came to nuclear war during the Cuban Missle Crisis. In 1962 the US had discovered Soviet nuclear missile sites in Cuba. The US set a fleet to stop shipping headed into Cuba that might be carrying nuclear weapons. Captain Vasili Arkhipov is given the mission to take his submarine brigade to Cuba. They are carrying nuclear-tipped torpedoes. He had already survived a nuclear disaster at sea on another submarine and was suffering from what we now know as PTSD. His vessel and crew were being chased by a large antisubmarine force of the US. He was being pushed ever closer to having to use his nuclear weapons. I enjoyed the 6 hours I spent reading this 238-page non-fiction book that reads like a thriller. I think that Gilbert did a good job of taking history and making it readable and exciting. I like the chosen cover art. I give this book a 4 out of 5. WWII – I thought that GP Cox gave another good snapshot of what Thanksgiving was like for servicemen during WWII and wanted to share it. No matter what the timeframe, our service men and women must sacrifice time with their families to defend us. Thanking them should be part of our Thanksgiving as well. WWII – I thought that IHRA site gave a good snapshot of what Thanksgiving was like in the Pacific Theater during WWII and wanted to share it. As the men in the Southwest Pacific fought the Japanese during World War II, they spent major holidays and birthdays far away from their families and friends. These holidays weren’t always a break from routine missions, but they were a brief respite from the bland food typically served in the mess hall. We’ve gathered some diary entries from Thanksgiving Day in 1943 and 1944. Happy Thanksgiving! Book Reviews – “Burma: The Forgotten War” eBook was published in 2018 (original paper edition published in 2004) and was written by Jon Latimer. Mr. Latimer published several non-fiction books. I received an ARC of this novel through https://www.netgalley.com in return for a fair and honest review. I categorize this novel as ‘R’ because it contains scenes of violence. The book covers the years of World War II detailing actions taken in what was then Burma (now known a Myanmar). Most of what I have read regarding World War II has been either centered on the European Theater or the Pacific Theater and focused on the forces of the US. Most of the Burma campaigns were centered around British or Commonwealth ground forces, though the US played a major role in the air engagements. I thought that the 16.5+ hours I spent reading this 961-page history were interesting. The page count seems high, but the last third of the book was citations of reference. Certainly, there was a lot of information presented that I had not known about before. Some history books are presented in a very readable fashion. I have reviewed a few of those in the past. This was not one of those books. This was very dry. It is filled with names, dates, and locations. The fact that the locations are for places I had never heard of did not help. Also, I found that the numerical military unit references used for both British and Japanese units was very confusing. I also felt that the book was very choppy, jumping back and forth in time. If you are researching military efforts in Burma during WWII, you will find this a very useful book. It does a good job of conveying the misery that troops of both sides had to endure for most of the Burma war efforts. The perspective presented on the war and especially the Commonwealth troops engaged in it very British. The chosen cover art is OK. I give this novel a 3 out of 5 based on general readability. WWII – I saw this example of Disney nose art in a Twitter post by @PSNavyMuseum. I think a lot of Disney art has appeared recently due to November 18, 2018, being the 90th birthday of Mickey Mouse.